I saw this cute pack of papers fromWe R Memory Keepers on clearance the other day at Michael's and after some debate decided that it needed to come home with me. The clearance price was $9 but then it rang up even cheaper so I'm glad it made it's way into my basket. I went home and put together the bases of the three cards. They all have the same white base, orange panel, and striped panel. Then for the focal images I decided to mix them up so they would all have a little different look. 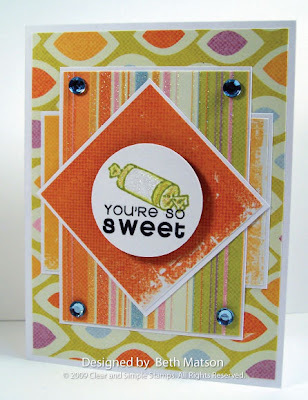 For the candy card I added an orange square panel on the diagonal behind the circular image. 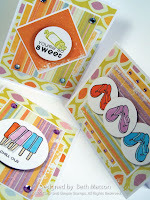 For the flip flops, I turned the card on it's side and added three circles with flip flops. Lastly I went with just a plain circluar image. 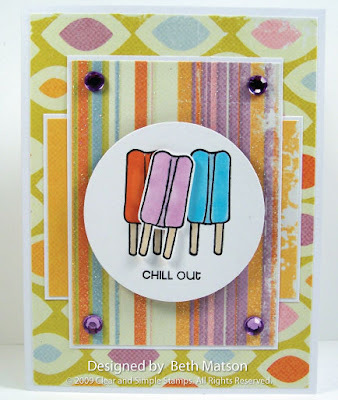 For a little extra something I cut out the purple popsicle and mounted it with pop dots. Thanks so much for stopping by. I hope you're all having a wonderful day. 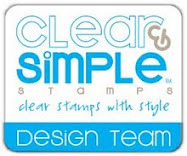 Love the papers you chose for these card, they go great with the images! These are awesome - love all the sparkle and bright and cheery summer colors - SUPER CUTE! Wow! What a versatile layout! These are all great. Ready for a sneak peak?